Andre Iguodala, last year’s NBA Finals MVP, throws on a pair of Nike HyperChases, dribbles down a 50 foot court, jumps nearly 35 inches in the air, releasing a basketball at his highest point. A faint swish sound can be heard- Iguodala, the Golden State Warriors guard, has just drained another three point shot. Arianna Huffington, editor in chief of The Huffington Post, and 70th most powerful woman according to Forbes1Forbes Media LLC. “#70 Arianna Huffington.” Forbes. Forbes Magazine, 2016. Web. 20 June 2016., spins around in her swivel chair, takes a break from writing her next bestseller, crumples up a piece of writing paper that never made the final cut, tosses it into the air, burying another shot deep into the recycling bin. She makes plays all day long at the office. What this NBA star and this 65-year old editor in chief have in common is more than just success in their respective fields: they both received a quality eight hours of rest last night. Arianna Huffington’s widely popular book, The Sleep Revolution, came out this April. Already a New York Times best-seller, Huffington’s book argues for the importance of sleep, relaying staggering statistics on how lack of sleep decreases every aspect of our lives; getting poor rest can even result in the tired individual functioning at the cognitive level of legal drunkenness. One among many intriguing studies from the informative book is an analysis of a boarding school. She cites how a boarding school made the decision to start 35 minutes later in the morning and as a result, the students GPA increased and the number of visits to the school nurse decreased. Sleep makes us more creative, productive, healthy, and increases our memory. Throughout the book Huffington complies a convincing case on how sleep enhances the poetry of our lives. By helping us keep the world in perspective, sleep gives us a chance to refocus on the essence of who we are. And in that place of connection, it is easier for the fears and concerns of the world to drop away.2Huffington, Arianna. The Sleep Revolution. N.p. : Random House UK, 2016. Print. The combination of all the statistics and studies assembled by Arianna Huffington is shocking, showing how essential sleep is to our lives. Despite the obvious importance of sleep, a recent Gallup poll shows that 40 percent of adults in America are sleep deprived.3Huffington, Arianna. The Sleep Revolution. N.p. : Random House UK, 2016. Print. What hinders us from taking part in this human necessity? Arianna Huffington discusses the role of technology in our sleep lives, and how most are unaware of the ways these electronics may be changing our sleeping habits. A quick text, a couple episodes of your favorite television show, a swift scroll through social media, or a run-through of emails in bed before turning in for the night is more than common in in this day and age. The mobility of a laptop and handheld aspect of cell phones have contributed to the integration of technology into the moments prior to bedtime. In our culture, this ritual is extremely accessible and seemingly irresistible to most. Online Psychology Degree released an infographic containing research that shows that 95% of people use their phone in some way just before going to bed.4Online Psychology Degree, comp. Getting in Bed with Gadgets Your Technology Is Keeping You Awake. Rep. Online Pyschogy Degree, 2012. Web. 21 June 2016. Could this substantial amount of screen-time be working against the natural proclivities that help people sleep well? Exposure to the blue light that emits from cell phone and computer screens causes your body to suppress its own melatonin, especially at night. Melatonin is the substance in the body that controls sleep and wake cycles. When exposed to a cell phone or computer screen just prior to bedtime, this reaction causes it to not only become harder to fall asleep but harder to sleep well and fall into proper sleep cycles.5Hobson, Katherine. “Apple’s New Night Mode Doesn’t Mean You Should Take Your Tablet To Bed.” FiveThirtyEight Science and Health. FiveThirtyEight, 30 Mar. 2016. Web. 21 June 2016. Arianna Huffington acts upon her belief in the intense power of sleep; she is spreading the message in speeches, interviews, and presentations around the country in the attempt to ignite a cultural revolution. Recently Arianna Huffington and Emmanuel Mignot, director of the Stanford Center for Sleep Sciences and Medicine, discussed with NBA player Andre Iguodala on how sleep improves performance on the court. Huffington predicts a revolution. She calls Andre Iguodala a “sleep evangelist,” citing him as an example of how society is redefining their views on sleep. People of influence are speaking out on sleep. When the co-founder of the Huffington Post and an NBA star can agree on the necessity of sleep, “catching 40 winks” enters a new level of cool. Huffington anticipates that nap rooms in offices will soon be as common as conference rooms. If Iguodala is the ‘Sleep Evangelist,’ then there are many other testimonials that sign their names to this sleep revolution. Outspoken sleep members include Roger Federer, Jennifer Lopez, Rick Ross, the Dalai Lama, Warren Buffet, Ellen Degeneres, the list goes on.6Hall, Alena. 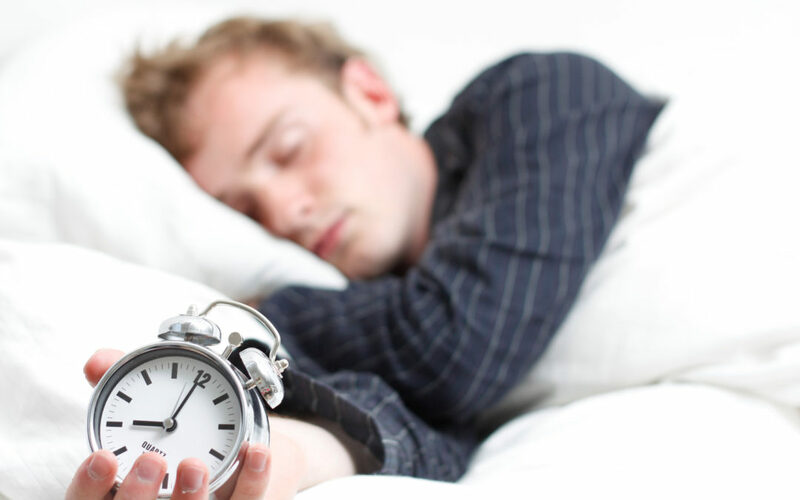 “14 Highly Successful People Who Prioritize A Good Night’s Sleep.” The Huffington Post. TheHuffingtonPost.com, 29 Apr. 2014. Web. 21 June 2016. Lebron James; who just led his hometown team, the Cleveland Cavaliers, to their first NBA championship in over fifty years; averages twelve hours of sleep per night.7Zach McCann, Zach. “Sleep Tracking Brings New Info Athletes.” ESPN. ESPN Internet Ventures, 1 June 2012. Web. 21 June 2016. The Sleep Revolution is a cultural revolution. No longer do people wear fours hours of sleep as a badge of honor. Cultural icons are giving sleep and its health benefits a positive name. Whether your job looks more like Iguodala’s, draining an NBA basketball, or Huffington’s, swishing a useless piece of graph paper into a trash can, or even if it looks like neither, catching more “Z’s” will help you drain more 3’s. Above, Iguodala shows how sleep is a high priority. 1. ↑ Forbes Media LLC. “#70 Arianna Huffington.” Forbes. Forbes Magazine, 2016. Web. 20 June 2016. 2, 3. ↑ Huffington, Arianna. The Sleep Revolution. N.p. : Random House UK, 2016. Print. 4. ↑ Online Psychology Degree, comp. Getting in Bed with Gadgets Your Technology Is Keeping You Awake. Rep. Online Pyschogy Degree, 2012. Web. 21 June 2016. 5. ↑ Hobson, Katherine. “Apple’s New Night Mode Doesn’t Mean You Should Take Your Tablet To Bed.” FiveThirtyEight Science and Health. FiveThirtyEight, 30 Mar. 2016. Web. 21 June 2016. 6. ↑ Hall, Alena. “14 Highly Successful People Who Prioritize A Good Night’s Sleep.” The Huffington Post. TheHuffingtonPost.com, 29 Apr. 2014. Web. 21 June 2016. 7. ↑ Zach McCann, Zach. “Sleep Tracking Brings New Info Athletes.” ESPN. ESPN Internet Ventures, 1 June 2012. Web. 21 June 2016. Very engaging and informative article! Very cool post! I enjoyed reading it.